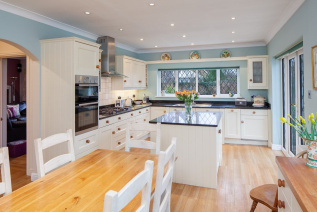 Charming five bedroom detached property centrally set in approx. 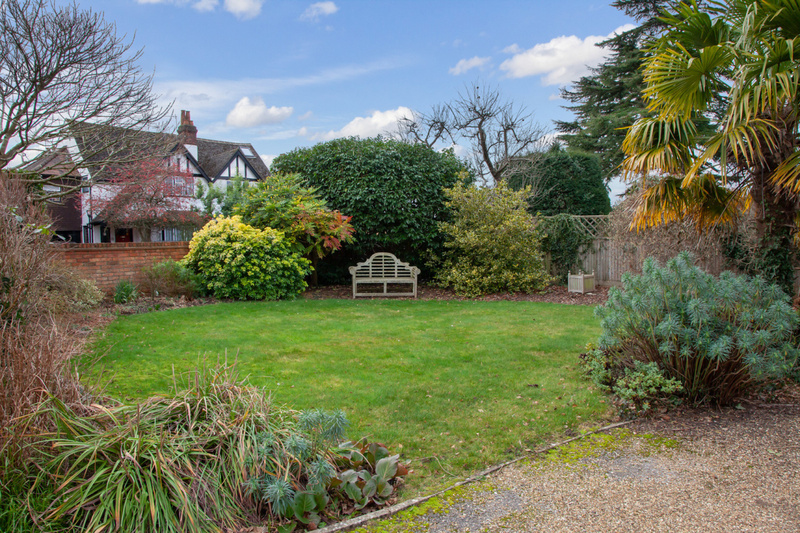 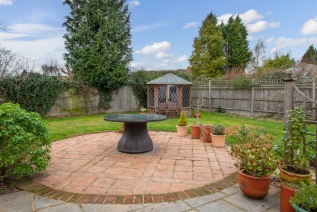 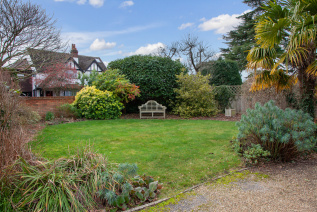 a quarter of an acre on one of Beaconsfield’s sought after locations within an easy and flat walk to the Town Centre and mainline train station. 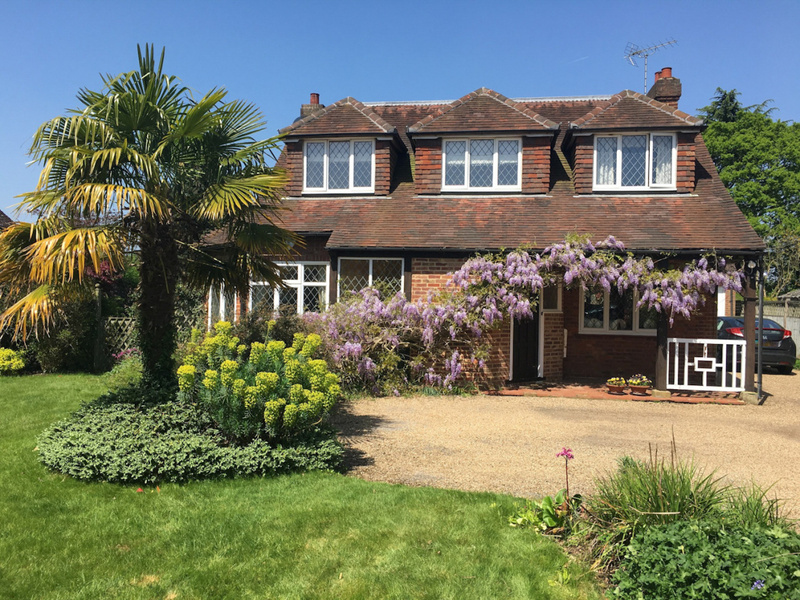 The property has been sympathetically enhanced to combine character and modern offering flexible accommodation and much potential subject to Planning consents. 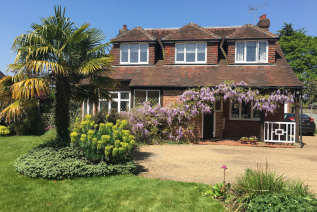 Property is approached over driveway, providing ample parking, leading to a large tandem garage, large area of lawn landscaped with mature flower beds, trees, shrubs and attractive portico porch to the front door which opens into an inner porch. Double doors open into reception hall which in turn opens into the dining room and dual aspect reception room. 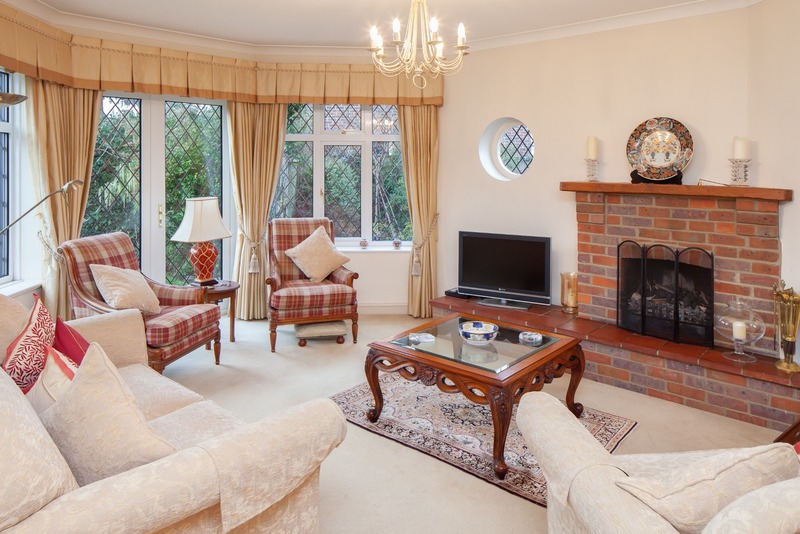 The pentagon shaped reception room with feature brick open fireplace and wooden mantle over benefits with French doors opening onto the beautiful front garden. This dual aspect room is full of charm and light. 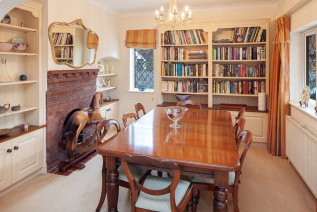 The dining room, also dual aspect, with fireplace set in brick surround with brick mantle and tiled hearth has a range of built-in bookcases and cupboards. Stairs rise to 1st floor landing with under stairs storage cupboard. 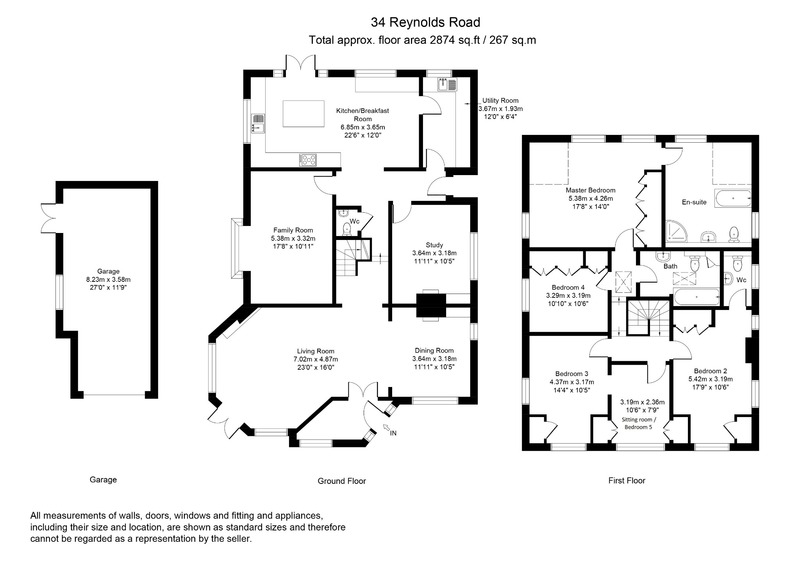 The reception hall leads to a further lobby with access to downstairs cloakroom, with white suite WC and wash hand basin, study, family room, utility room and kitchen/breakfast room. Amtico flooring flows throughout this area. The study with open fireplace sets in attractive brick surround with mantle and tiled hearth has a range of built-in shelving, cupboards and built-in desk. 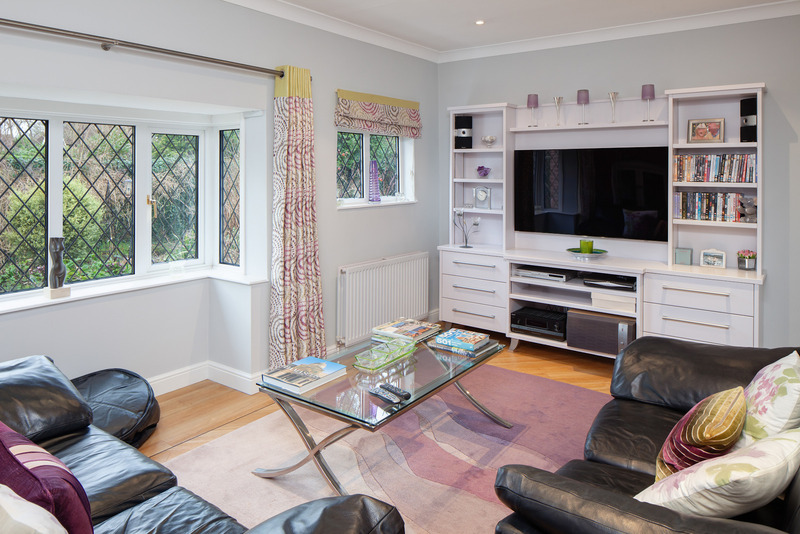 The comfortable family room with box bay window is a well-proportioned room with attractive display cabinet and bookshelves. Beautiful bright and spacious dual aspect kitchen/breakfast area has a comprehensive range of base units with granite work surface. 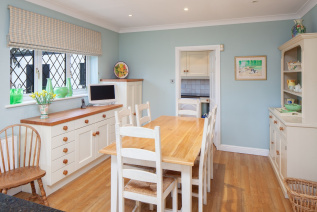 Matching eye level cupboards, full height cupboards and storage. Beautiful centre island with storage. Integrated appliances include a 5-ring gas Neff hob with ventilation system over, under counter larder fridge, Neff microwave oven, Neff double oven and Neff dishwasher. French doors open onto the rear patio and the garden beyond.The large utility room with a range of base units and matching eye level units, space for a fridge freezer, space and plumbing for washing machine, space for tumble dryer. 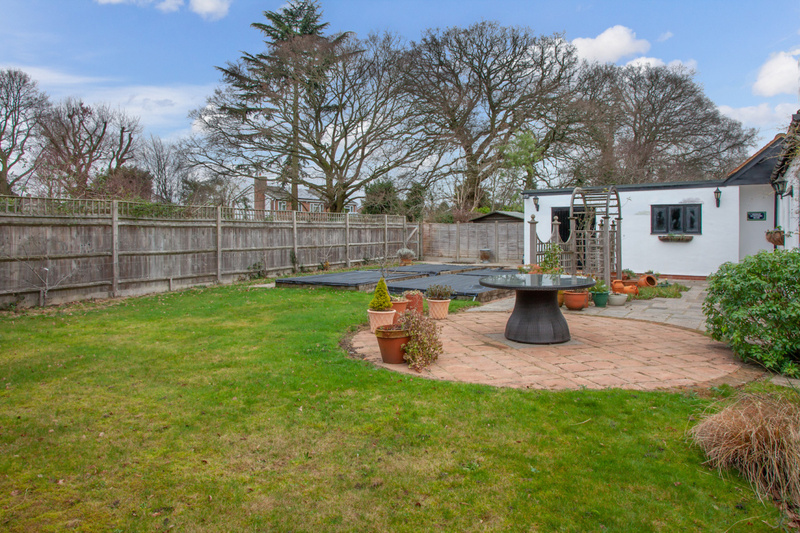 Door to side of property. 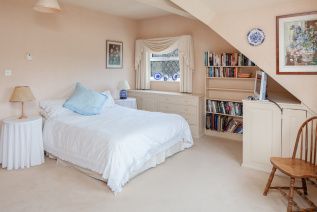 Stairs rise to 1st floor landing giving access to 5 bedrooms and family bathroom. The master bedroom is a large spacious dual aspect bedroom with range of built-in wardrobes fitted with hanging rails, drawers and shelves. 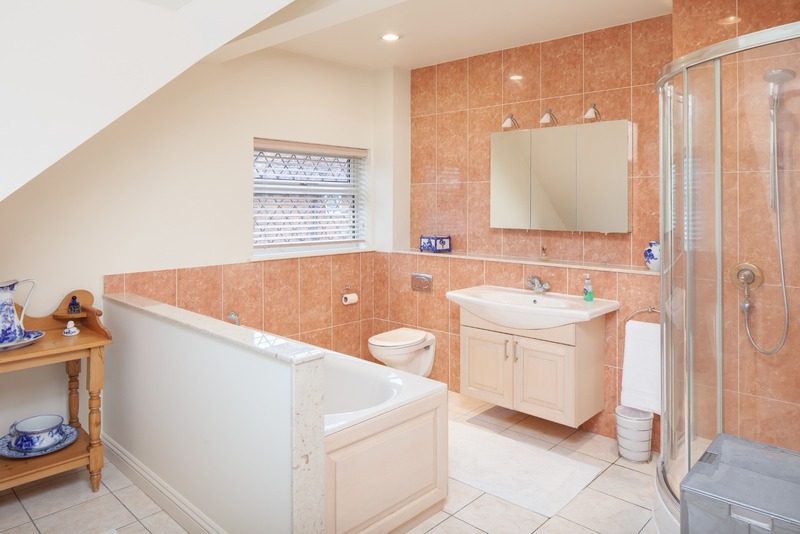 Spacious en suite bathroom with panel bath, walk-in shower cubicle, large wash hand basin inset into vanity unit and floating WC. 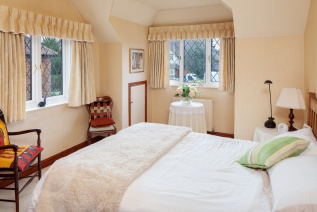 Dual aspect Guest bedroom with full range of built-in wardrobes with hanging rails and ensuite cloakroom. Two further large double bedrooms with built in cupboards and one with a sitting room which could be used as the fifth bedroom. The garage is a tandem garage with electric up and over door and with double doors giving access into the rear garden.